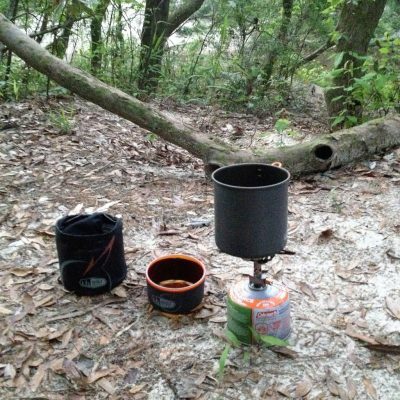 I have used the GSI Pinnacle Soloist Complete System while backpacking in Alabama and Mississippi over the past couple of months, and it has performed admirably. The system excels at boiling water efficiently, is easy to use, and cleanly fits together in a single clean system. Read on for my full update. This entry was posted in Reviews and tagged 4alloutdoors.org, backpacking, camp cooking, Cooking, GSI Outdoors, hiking, Jason B, jason boyle, Pinnacle Soloist Complete. Bookmark the permalink.